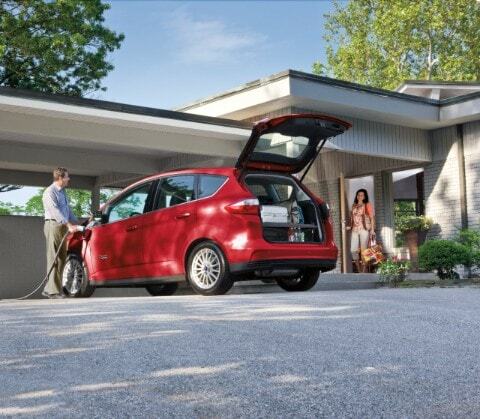 The 2016 Ford C-Max arrives on the scene with a Hybrid and a plug in hybrid Energi model. Both of these vehicles are complete hybrids and do not offer gasoline versions. This is the fourth year for these models and they get a couple new color options, new Sync 3 voice command system and more. This vehicle hints at some resemblances to the much celebrated Focus vehicles but is more upright appearing with a vertical tailgate. The front grille is the typical design used in all current Ford brand models and the interior is a very modern take with lots of room and useful button placement. 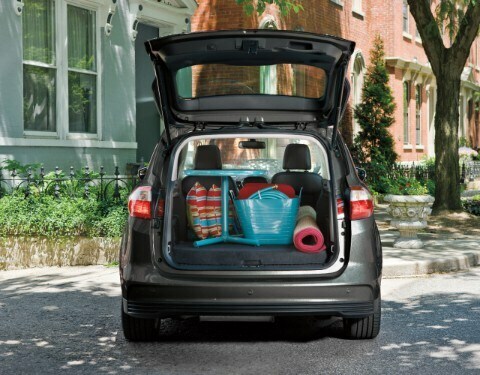 This vehicle is more than capable of fitting four adult passengers and cargo comfortably. There is plenty of head and leg room and noise dampening creating great riding conditions. There is a 2.0-liter four-cylinder engine and hybrid system with two electric motors getting 195 horsepower which is 54 more horsepower than the latest Prius model. The Energi version is all-electric and gets a driving range of 19 miles due to a larger and improved battery. The Hybrid version gets 42 miles per gallon city and 37 miles per gallon on the highway. 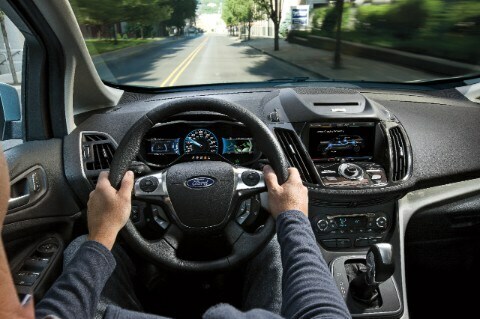 The C-Max drives extremely well and is way less stressed and way less loud when under maximum power. The 1.4-kilowatt-hour lithium-ion battery pack of the C-Max Hybrid is positioned under the load floor just behind the rear seat. The plug-in hybrid C-Max Energi, however, has a much larger 7.6-kWh battery that also sits under the load floor. (You'll sacrifice some cargo space as a result.) Its official all-electric driving range is 19 miles, slightly higher than the handful of plug-in hybrids available so far. That's enough for an electric commute, with the benefits of a gasoline vehicle for weekend trips. The exterior design of this vehicle has a highly recognizable grille and a high beltline. It certainly takes a less sporty approach but is also distinctive looking without being labeled "oddball" in features. The interior is stylish and bright with more of a premium look than one would normally expect. The vehicle's interior displays are done in full color and should relevant information to the driver and passengers alike. For high efficiency compact cars the upholstery and surfaces are way nicer than most compact automobiles. The gasoline engine will fire up and blend seamlessly with the electric power as the vehicle gains speed or the driver accelerates harder. As soon as you lift off, the C-Max can recover as much energy as it can while braking or coasting, and Ford's blending of electric and friction braking--a hard thing to do smoothly--is all but imperceptible. The Insurance Institute for Highway Safety has labeled the C-Max a "Top Safety Pick", It also gets a four-star rating altogether from the National Highway Traffic Safety Administration (NHTSA), with four stars for frontal crash and roof strength but five for side impact. It has seven airbags, including a driver's knee bag, and the usual range of now-standard safety equipment. A backup camera is also standard. This is a great edition to the Ford lineup the past few years and certainly is deserving of a spot in your driveway.